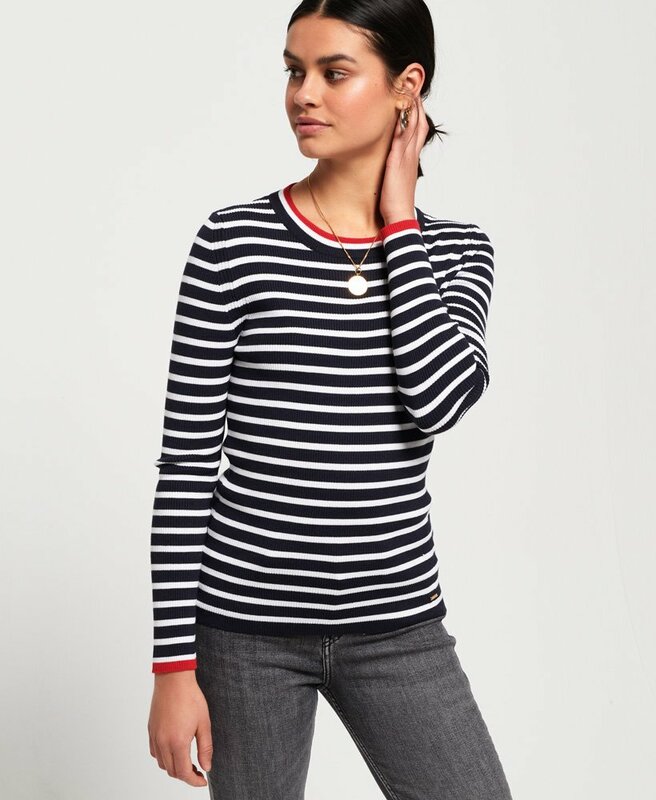 Superdry women's Kasey tipped ribbed crew knit. This lightweight knit jumper features long sleeves and a crew neckline. Finished with a metal Superdry badge on the hem.